The poster for the 2018 edition of the Toronto After Dark Film Festival. 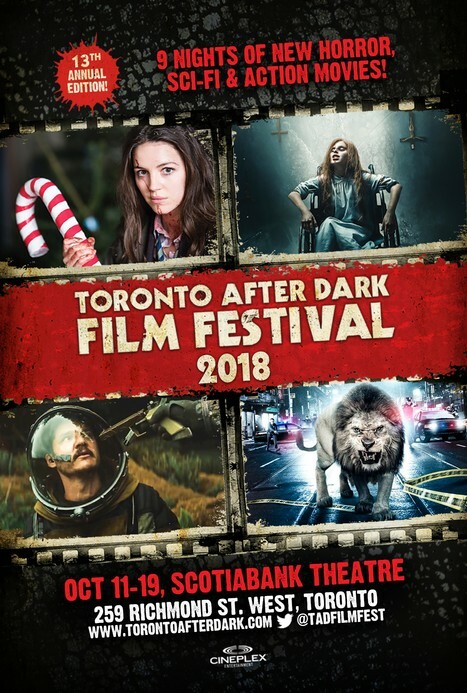 Downtown Toronto is preparing to be frightened this Halloween season, as the Toronto After Dark Film Festival is set to kick off its 13h annual edition. Beginning on Thursday night, and running until next Friday, October 19, 20 critically acclaimed and anticipated new horror, sci-fi, action and cult movies from this year’s international film festival circuit will screen at the Scotiabank Theatre (259 Richmond Street West) in the Canadian city. Shockya is happy to be promoting this great genre festival again this year, after attending and covering Toronto After Dark since 2015! With the festival commencing later this week, we’re offering an insight into some of the most anticipated movies that will be playing at Toronto After Dark. 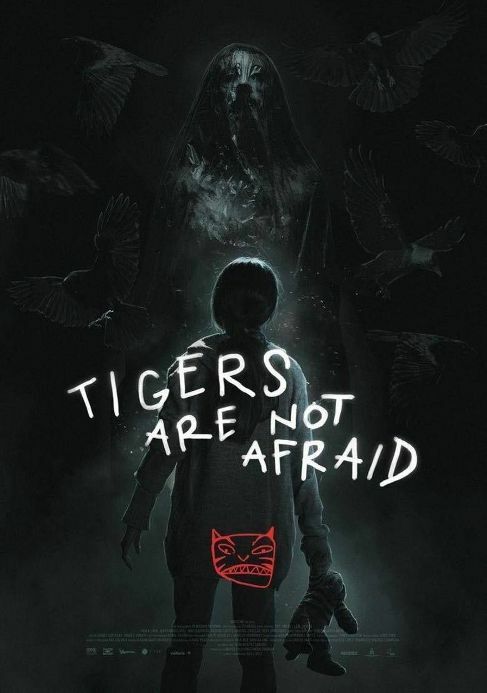 7:00pm: ‘Tigers Are Not Afraid’ (Mexico) Opening Gala Film & Toronto Premiere – Expected to Sell Out Soon! With her latest feature film, director Issa Lopez perfectly balances the the harsh reality and fantastic nightmares of the street children of Mexico. Part ‘Pan’s Labyrinth,’ part ‘City of God,’ this creepy Guillermo del Toro-esque fairytale is about a young girl whose supernatural intuition leads her to form an alliance with a gang of orphaned boys. A critically acclaimed winner of over 20 film festival awards makes for an unmissable Opening Gala of this year’s Toronto After Dark!